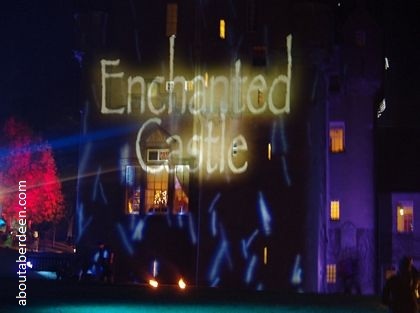 2019 Enchanted Castle Aberdeen events takes place at Crathes Castle near Banchory from TBA to TBA November. Below is information about what to expect and photographs of previous shows. 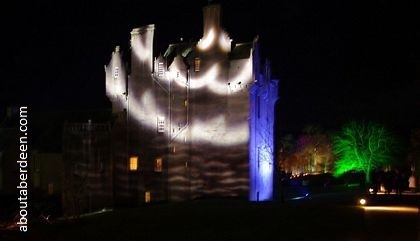 Entrance to the Enchanted Castle Crathes is by ticket only with a limited number sold for each night. These are available from Aberdeen Box Office. The Wednesday is usually restricted to adult visitors only. There is free parking and disabled access throughout the venue. Tickets are taken at the kiosk and you will be given a glow in the dark neon necklace to wear and a site map with itinary. 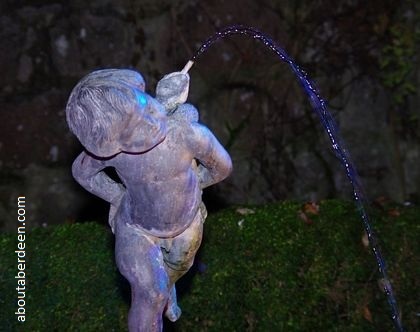 We would suggest going to the thirty minute magic show first because this gets really busy later in the evening. 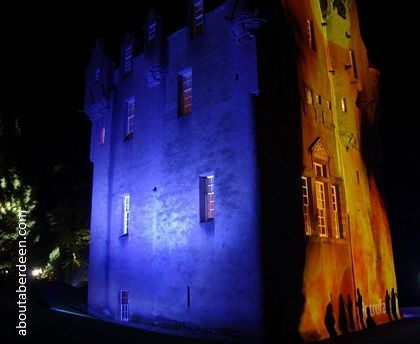 The route around the enchanted forest Crathes Castle light show is clearly marked and takes you around the walled gardens. 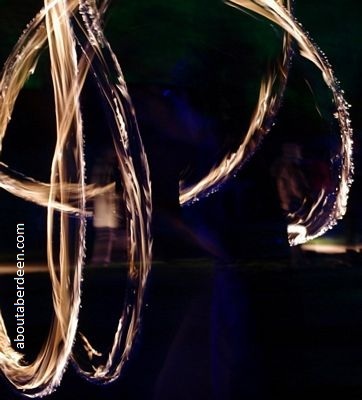 In addition to the lighting effects there is entertainment such as fire breathing, wizard juggling and fairy dancing. The themes may change each year. 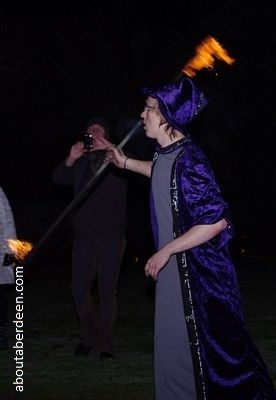 For example some of the photos on this page show the Fantasia theme. 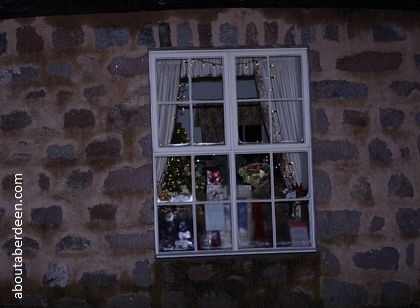 The cafe remains open where there are some delicious snacks like venison sausages or pork and apple rolls with a selection of puddings and cakes. There is also a snack van selling hot and cold drinks near to the walled gardens and fire entertainment. Toilets are located in the cafe area. 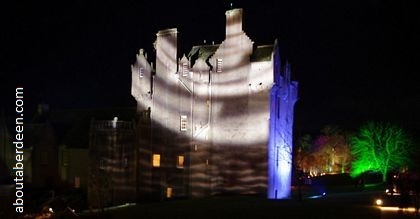 The evening provides a rare opportunity to tour around the inside of Crathes Castle at night time. 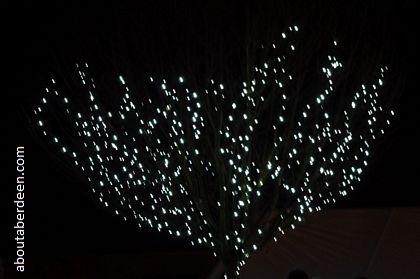 We took about three hours to enjoy the night's entertainment with a leisurely stroll round the light shows. The National Trust gift shops remain open and there is further entertainment in the courtyard where you can learn to juggle by the BBQ tent.